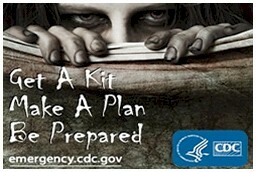 The US Centers for Disease Control and Prevention have released a report on how to prepare for the zombie apocalypse. 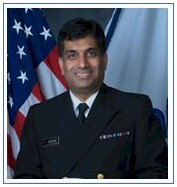 In a blog post, Rear Admiral Ali S Khan, assistant surgeon general and director of the Office of Public Health Preparedness and Response, provides a brief history of the zombie and explains the dos and don'ts of coping with the phenomenon, which has morphed from its origins in Haiti and New Orleans voodoo culture – where innocent people were hypnotized by sorcerers – into a recurring movie plot where reanimated corpses serve the undead. The former is not that much of a big deal – those zombies are just like Apple fanbois, which are harmless – but Khan insists that the latter is a cause for concern. "The rise of zombies in pop culture has given credence to the idea that a zombie apocalypse could happen," he says. "In such a scenario, zombies would take over entire countries, roaming city streets eating anything living that got in their way. The proliferation of this idea has led many people to wonder 'How do I prepare for a zombie apocalypse?'" Admiral Khan was not at liberty to discuss the secret plans the US government has for nuking zombies as they attack cities, but he did want to make sure we all know what we can do to survive should an Ataxic Neurodegenerative Satiety Deficiency Syndrome break out in our neighborhoods and towns. As it turns out, you pack a bag. Including a towel. Specifically, that bag includes non-perishable food, medicines and a first aid kit, important ID documents, clothing and bedding, a utility knife, duct tape, a flashlight, soap, a change of clothes, and bedding of some sort (space age blankets fold up small). You will need a gallon of water a day, which is a bit hard to carry, but it sure beats drinking water contaminated with the bodily fluids of former friends and family members. You should also pick two meeting places, one close to home and one far away, to rendezvous after hacking your way through waves of the undead. The other option to fighting zombies is to live off grid in Canada, far away from a potential outbreak, huddling by the radio with a flamethrower. Or just absorb the radiation and taste the solanum virus.